One of the biggest challenges for customer experience—and also the biggest opportunity for growth and innovation—comes from managing new technology and changing customer demographics. New technology is being developed at a rapid pace, but keeping up can be overwhelming. At the same time, customer trends change quickly, and each generation has unique demands and preferences. Brands that master customer experience can balance changing technology and trends. 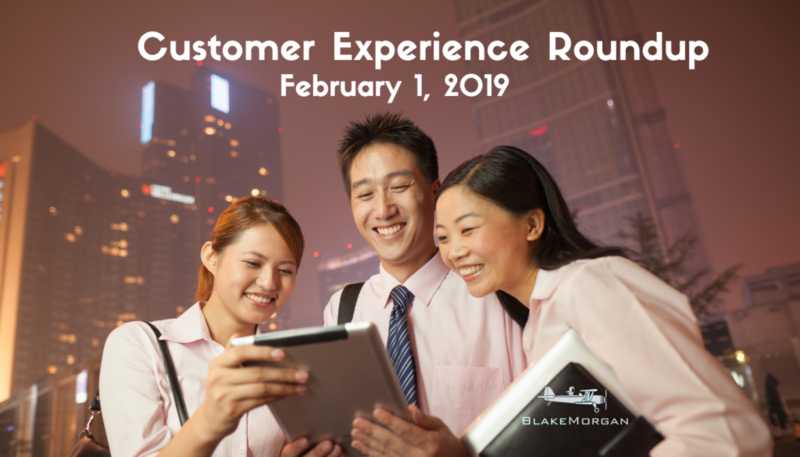 Here’s this week’s customer experience roundup that shows just how quickly technology and customers are changing. The internet is a competitive world, but Facebook just took it a step too far by paying users to get data on its competitors. It’s done through the Facebook Research app, which is actually a VPN that takes all the phone and web activity from a user’s device. Facebook has been paying teenage users to sell their privacy and share information with the company so that it can better understand usage habits. The app violates Apple’s policy of only using enterprise apps for internal purposes. It’s unclear if users are aware just how much information they’re sharing with Facebook. This example shows how far brands are willing to go to get information of their customers and competitors. While a strong customer understanding is the foundation of a great customer experience, it shouldn’t be done by disregarding rules and privacy. Amazon’s latest product expansion is positioning the ecommerce giant to dominate in yet another area. The company recently introduced its new private-label beauty brand called Find that will sell bundles of products for eyes, brows, face, lips and nails. Each bundle will sell for less than $20, which puts Find products in competition with drugstore brands. The beauty expansion seems like a smart move for Amazon. Although brick-and-mortar beauty stores like Sephora and Ulta are thriving because customers love to play with makeup and try on products before they make a purchase, customers also love to shop online. One survey found that 69% of American women buy beauty and makeup products on Amazon already, so it makes sense for Amazon to want to get in on the action. Currently, Find products are only available on Amazon’s UK site. When Amazon enters a new industry, it typically does so with more fanfare, which has some experts predicting that the start of Find could be part of a larger Amazon unveiling yet to come. For now, Amazon will continue to offer customers the beauty products they want. You’ve probably heard millennials called the brokest generation and the richest generation. Which is true? Both! According to new research from the Federal Reserve, although millennials have less money compared to previous generations at their age, they have more money overall. Millennials are less well off than Baby Boomers or Gen X-ers were at their age. However, millennials also earn more than previous generations. Where’s the disconnect? A lot of it comes down to millennials’ money management. Millennials tend to take on more debt and spend more on discretionary items. It’s what experts call the “treat yourself” mentality. But at the same time, more female millennials are educated and joining the workforce, which helps entire industries grow. Millennials are a huge customer group for many companies and industries. In order to tailor the customer experience to this generation, brands need to understand their unique financial state. It’s important for companies to understand their customers to offer them the best products and more secure and efficient technology. This week shows that balancing these many demands can help create a strong customer experience.